GLIMPS spreads knowledge and practical skills in biofabrication to all interested. This interdisciplinary field is welcoming to a wide range of backgrounds, from design and industry, to enthusiasts and researchers. Our trainings and events are excellent networking opportunities in the biofabrication field. We are rigorous and detailed in our approach, embrace novel educational methods and put an emphasis on hands-on, practical skills participants can use for prototyping, making and R&D. Have a look below at our current educational projects. Mushroom growers, entrepreneurs and enthusiasts will learn all they need to be able to produce mycelium objects for their local markets, using their local resources. We provide documentation and tips & tricks we learned the hard way, so you don’t have to. The next masterclass will be hosted from December 5 to 7, 2018, for three full days. The participation fee is €750.00 (excl. 21% VAT), with a 20% discount for students. The programme includes activities for networking and professional company visits. Get in touch via winnie@glimps.bio for help with registration or register below. Sustainable progress is stronger when involving all of society. During our hands-on workshops people in diverse groups learn all about biofabrication in a practical session. We link concrete prototyping to a bold vision of sustainability, giving people an unforgettable experience whatever their expectations. Designers, companies and design educators play an important role in striving for a sustainable world. With the MAAKBAAR project, BOS+ aims to sensitize the design sector and activate it around socially, economically and ecologically sustainable design. 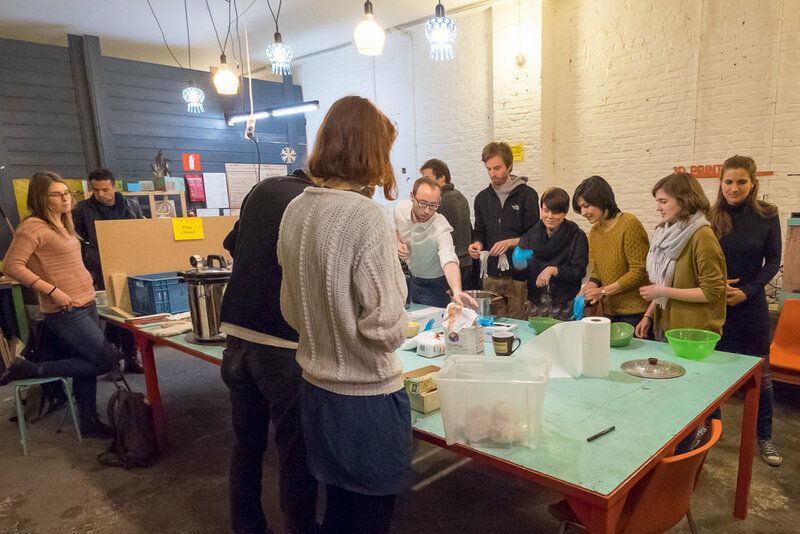 In the wake of the Fungal Futures exhibition in Ghent, BOS+ and Glimps team up in organizing a symposium on recent experiences and lessons learned about mycelium material and sustainable design in education. The event takes place on October 9th at De Tuin van Kina, from 14:00 to 18:00. More info and subscription (Dutch) can be found on the event page. We support open knowledge, so that everyone may participate.